Can A Debt Collector Talk To Someone Other Than Me About My Debts? No, they may not speak direct to someone other than yourself (or your attorney) without your express permission. And if they do, they are in violation of the law. The Fair Debt Collection Practices Act (FDCPA) is a federal statute that regulates what a collection agency can and cannot do in their attempts to collect on a debt. The law spells out precisely what is unlawful conduct on their part. The most surprising thing about the whole thing is the number of people out there who are not even aware of the fact that such consumer protection exists at all. Most people think that since they owe the debt, they must endure the non-sense that the collectors spew. In plain English, this means that if the collection agency calls your mother-in-law about some debt you owe from five years ago, and you have not spoken to her in ten years, then the collector has violated your (and probably her) consumer rights. So long as such a violation can be shown to have occurred, the remedy is for the debt collector to pay you damages (usually about $1,000). The other nice thing about the act is that the collector has to pay your attorney fees if a violation is proved. This means that there is no upfront cost to you to have the case filed. In addition, you may also want to consider filing a Missouri or Illinois bankruptcy. Depending on your debt levels, a St. Louis Chapter 7 bankruptcy or a St. Louis Chapter 13 bankruptcy may prove to be beneficial for your long term interests. This type of filing wipes away your debts completely (in the case of a Chapter 7), or allows you to pay back certain debts over a period of time (like with a Chapter 13). 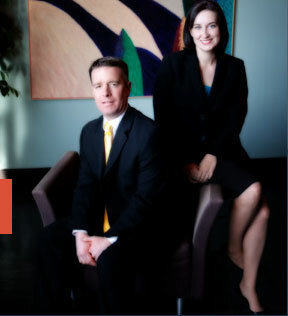 The affordable St. Louis bankruptcy attorneys at Brinkman & Alter, LLC have been protecting people’s rights against the bad deeds of creditors for over ten years. Our goal is to get you in the best position possible so that you can begin to rebuild your life, and back onto the road toward financial freedom. The initial consultation is free of charge, so call today!